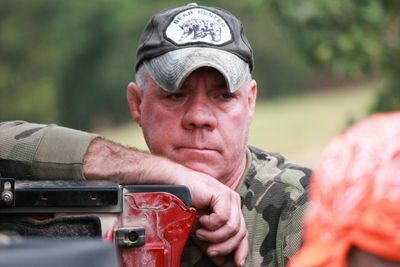 All new episodes of MOUNTAIN MONSTERS return to Animal Planet this month. For generations, the Appalachian Mountains have had more sightings of mysterious creatures than anywhere else in the United States. 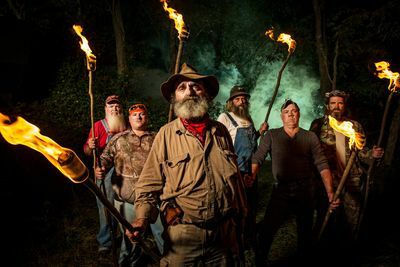 The new series investigates the legendary Chupacabra, known as the West Virginia Vampire , the "Dustman" thought to be the fastest and most agile Bigfoot in the region, as well as the most famous creature in all of Cherokee Indian folklore, "The Cherokee Devil", a savage beast thought to possess unique and dangerous abilities, including mind-control. Now a team of hard-core hunters and trappers are out to identify these unexplained creatures, as they follow the fresh physical evidence gathered by eyewitnesses from the region.